Inshapetraining: What to do after you've decided you want to start running...! What to do after you've decided you want to start running...! You have No idea how far you should run. Do I run till my legs burn? Do I run till i can't anymore? Do I run with a friend who pushes me too hard? The list goes on! Like I always say, when you are ill, you go & see a Doctor. When you need legal advice, you go & see a Lawyer & when you need exercise advice, you go & see a Personal Trainer or a Bio. My advice would be that you use a "tried & tested" running prog. before you go spend large sums on expensive running shoes. Now that you've found out that you actually enjoy running.. go out & purchase a GOOD running shoe that suites YOUR feet.Wearing the wrong shoes are like putting re-treads on your car in the middle of winter. 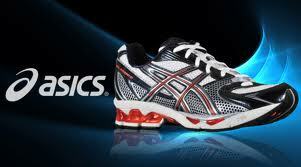 To find the proper running shoes, you will have to go to reputable stores like Sportsmans Warehouse or Cape Runner. Here they will assess your feet & prescibe the correct running shoe for YOU. Far too many people walk into any store & end up buying the WRONG shoes or a shoes which they find on sale & in the end waste money because they inevitably have to go back to purchase the correct shoes. Once you have the correct shoes, you will have to "WALK them IN". This entails walking around in your new shoes for a couple of days before you start running in them. (go shopping in them) The reason for this is so you allow the shoes to mould to your feet and to allow you leg muscles to get use to the new cushioning & stability or hardness of the shoes. Now that you have all those details out of the way... You're ready to embark on your new running prog which you would have received from your trainer or a qualified running coach. REMEMBER, DO NOT do too much too soon. You WILL end up with common running injuries. TRUST me...YOU DO NOT wat to experience running injuries!